Focus Features has released the first official trailer and poster for the dramatic film The Little Stranger. The first trailer teases the story of a secretive family with a mystery hidden in their past. A dead little girl makes her presence known, bells ring on their own, and family members appear to be suffering from hallucinations. The ominous trailer also warns viewers to abandon reason and to question everything. 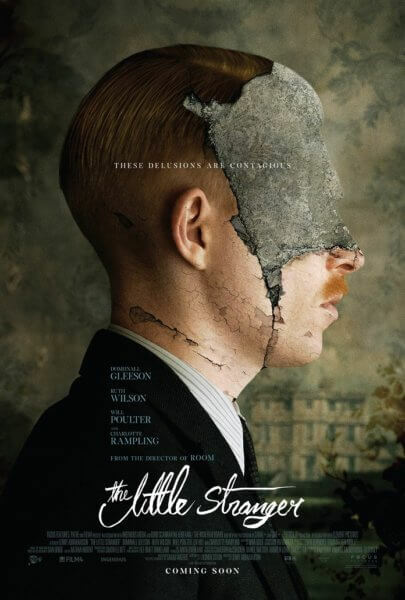 The Little Stranger‘s based on the book by Sarah Waters and was adapted for the screen by Lucinda Coxon (The Danish Girl). Oscar nominated director Lenny Abrahamson (Room) directed the 2018 horror film which was produced by Gail Egan, Ed Guiney, and Andrea Calderwood. The cast includes Domhnall Gleeson (Star Wars: Episode VIII – The Last Jedi, Goodbye Christopher Robin), Ruth Wilson (The Affair, How to Talk to Girls at Parties), Will Poulter (Maze Runner: The Death Cure), and Charlotte Rampling (Red Sparrow, Waiting for the Miracle to Come). Focus Features has planned an August 31, 2018 theatrical release. The Plot: The Little Stranger tells the story of Dr. Faraday, the son of a housemaid, who has built a life of quiet respectability as a country doctor. During the long hot summer of 1948, he is called to a patient at Hundreds Hall, where his mother once worked. The Hall has been home to the Ayres family for more than two centuries. But it is now in decline and its inhabitants – mother, son and daughter – are haunted by something more ominous than a dying way of life. When he takes on his new patient, Faraday has no idea how closely, and how disturbingly, the family’s story is about to become entwined with his own. Domhnall Gleeson (left) stars as “Dr. 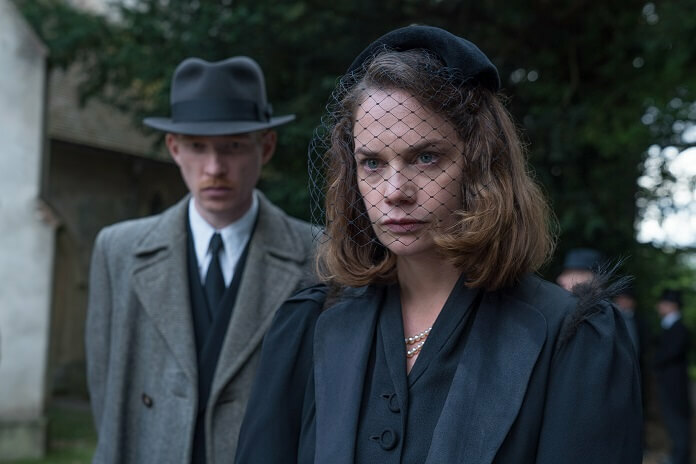 Faraday” and Ruth Wilson (right) stars as “Caroline Ayres” in director Lenny Abrahamson’s ‘The Little Stranger,’ a Focus Features release.